DanTheStampMan.Com,Inc. VERY NICE CLASSIC NEWFOUNDLAND ON STOCK PAGE-GOOD VALUE! VERY NICE CLASSIC NEWFOUNDLAND ON STOCK PAGE-GOOD VALUE! An assortment of classic Newfoundland filling a 2-sided black vinyl stock page. Very nice group being sold as received from a collector. 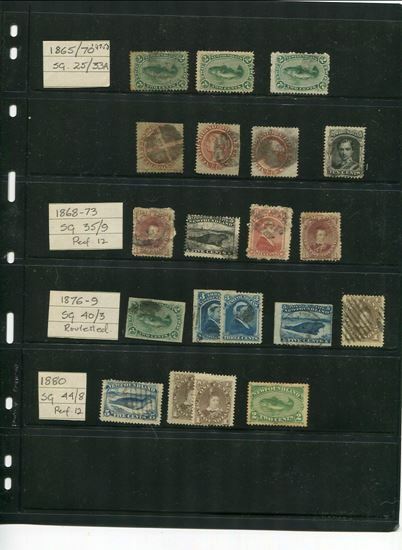 Items have been identified by Stanley-Gibbons number. Scans show all stamps included.